This is one place that I'm just not sure if I've seen before. It can be found along the Roaring Fork Motor Nature Trail (which is closed in the winter) out of Gatlinburg. 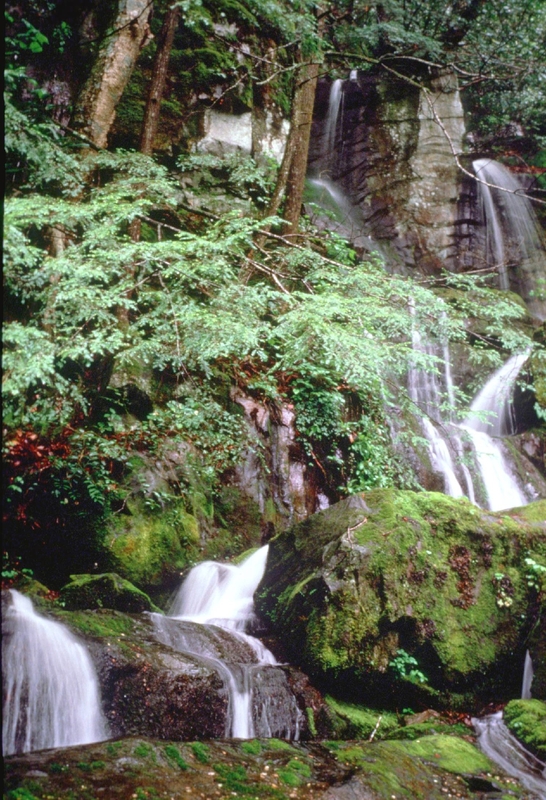 According to Smokies Adventure, "the waterfall comes out of high rocks and a small cave and cascade down 20-30 feet. Due to the small amount of water that flows over the falls, the name 'Place of a Thousand Drips' is quite fitting. It is best viewed during rainy seasons." Smokies Adventure goes on to say that, because of the intricate trails the water has made, it is definitely a "must-see". Wow, that looks neat! A must-see indeed! Love the name and it looks beautiful. Looks so beautiful. I love waterfalls!